March is all about sugaring, the collection of sap from sugar maples, and the boiling down of the same, to produce that sweet prize of nature, pure maple syrup. 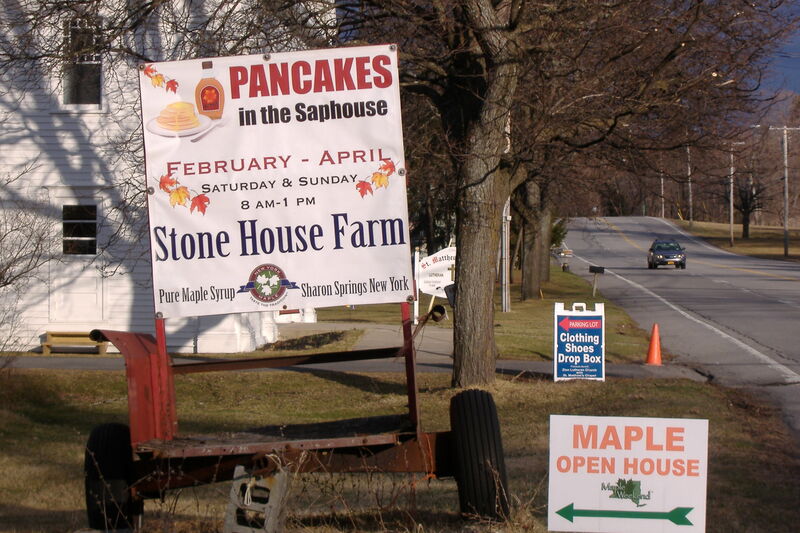 Over the hill, past Leesville, the Everett family augments their dairy operations with maple product production at Stone House Farm. They built a sap house, sometimes called a sugar shack, across the road from the house, and filled it not only with a huge evaporator for making syrup, but also a kitchen and dining area for serving pancakes during sugaring season. Daughter Kerry and her beau Kenyon joined me, my wife, and grandkids Madison, Elizabeth and Max for a great pancake & waffle breakfast in the sap house. A classmate of son Ryan, (Madison’s dad), Amy Everett, served our table. All you can eat! We left the sap house full and inspired. “Can we try tapping your trees?” asked ever-industrious Max. It’s not hard to guess what my answer was! Back at the Engleville homestead, Max and I set forth with a bit & brace, a few pieces of copper pipe, and a mish-mash of whatever containers we could find. We bored some holes in the big Sugar Maples that line the road frontage, five trees total, studded with seven taps. We proceeded to hang a couple plastic pails, an iced tea jug, and a soda bottle, among others, below the copper pipes, and eagerly awaited the outcome. By 3 o’clock there was a half-gallon of maple sap collected, and Max was eager to move forward through the process. We put the kettle on the stove and boiled the sap down, and in fact didn’t finish before Max had to go home. He took the sap and finished it off at home, made enough for him and his dad Matt to have a yummy breakfast treat! The following weekend, Max returned for sugaring operations, and we borrowed Ryan’s giant outdoor gas burner (which he bought for his own sugaring last year). 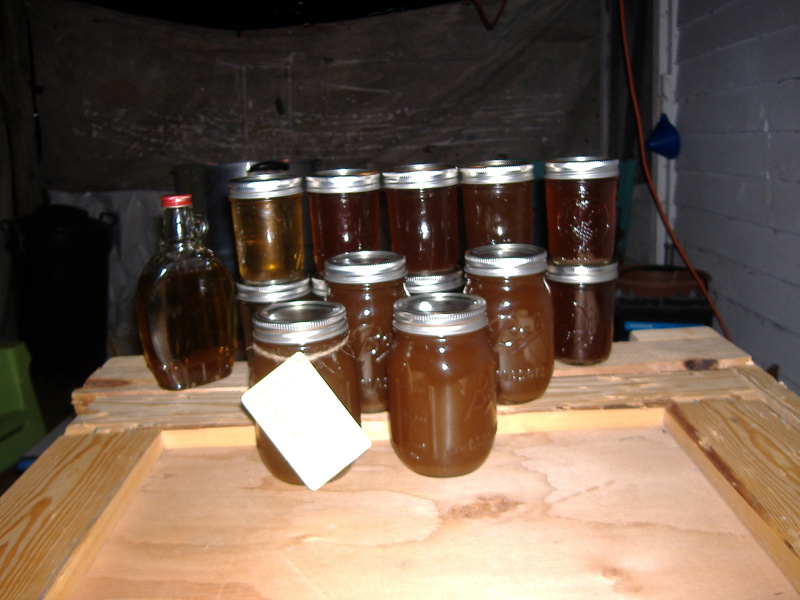 We had about sixty gallons of sap to boil, and it took all day, and well into the night! We put up some tarps for a wind break, and set up the burner in the Cabana at the Engleville Tick Ranch. (Some folks call it the wood shed. I like the sound of cabana.) We boiled off the sweet syrup until after 9:30, finishing barely in time to catch Svengoolie at 10 on MeTV. We had a great time in the Sugar Shack, and the sap is still flowing. We bottled our wares in Mason jars as Max tried to figure out how to sell syrup on Ebay. We all caught maple fever, and in just a week we had purchased real sap buckets and started making plans for next year. 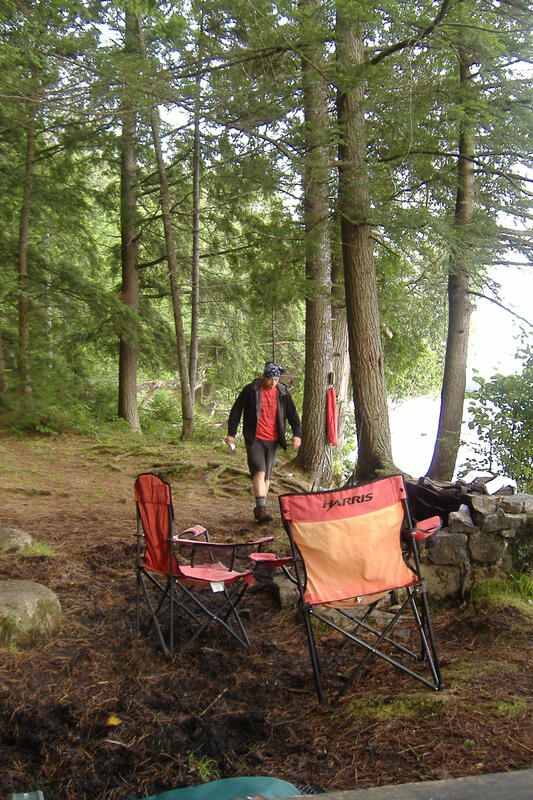 Max’s dad Matt wants to get an evaporator, and we’re keen on asking Mr. Nishan if we can tap the maples in his woods. Plans abound for next year. All told, we’ve made about a gallon and a half of mostly-pure maple syrup (it has some sediment in the bottom). It was an interesting and informative venture, seeing how much sap is produced by a tree, the length of time it takes to reduce it to syrup, and the curious way the syrup gets darker and stronger as the season wears on. 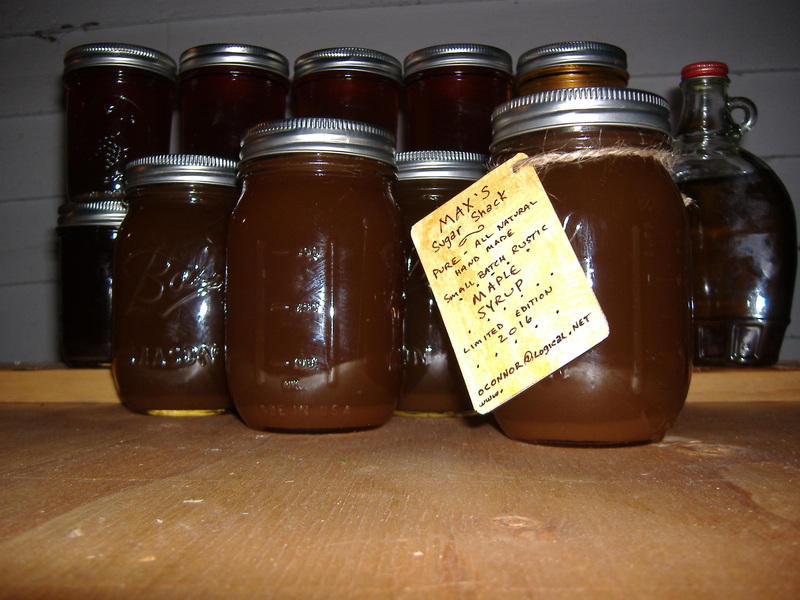 Max plans to become a maple syrup tycoon, and has built his own web site for Max’s Sugar Shack. Ah, the sweet smell of success! It sure smells like maple. This entry was posted in Sticks Life and tagged Home, kids, Maple Syrup, Max's Sugar Shack, Seasons, Spring, Stone House Farm, Sugaring, Tree Tapping on April 15, 2016 by Pazlo.